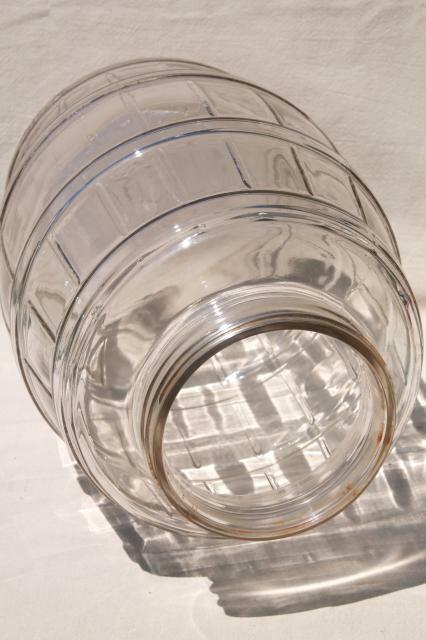 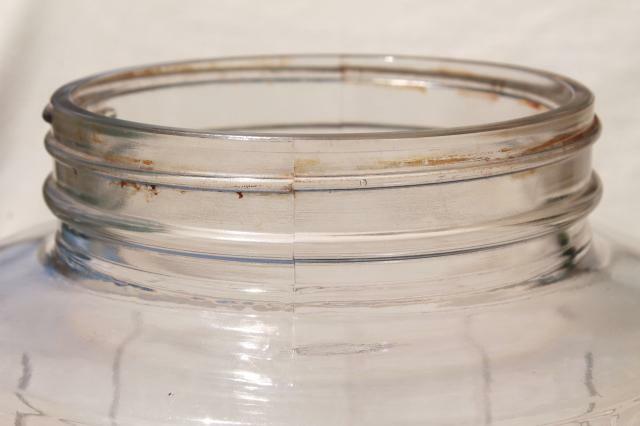 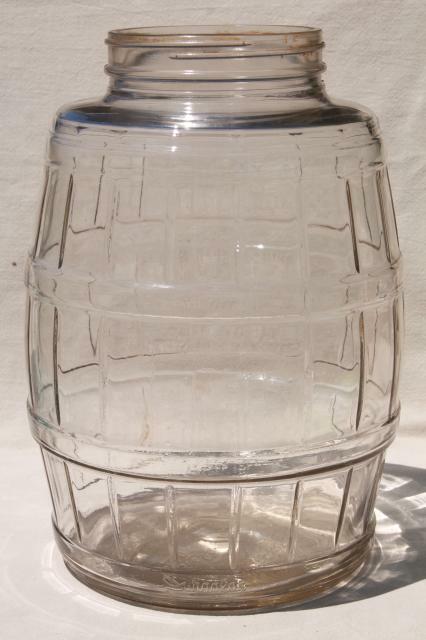 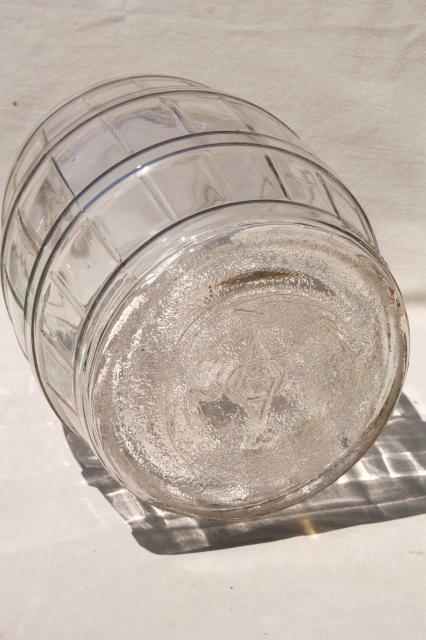 Old time glass jar 'pickle barrel', mid 20th century vintage. 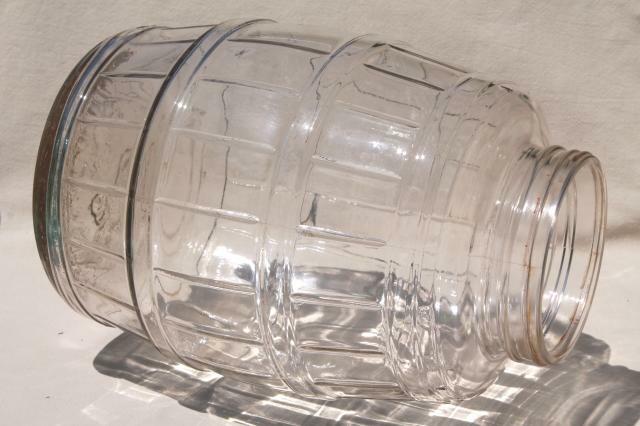 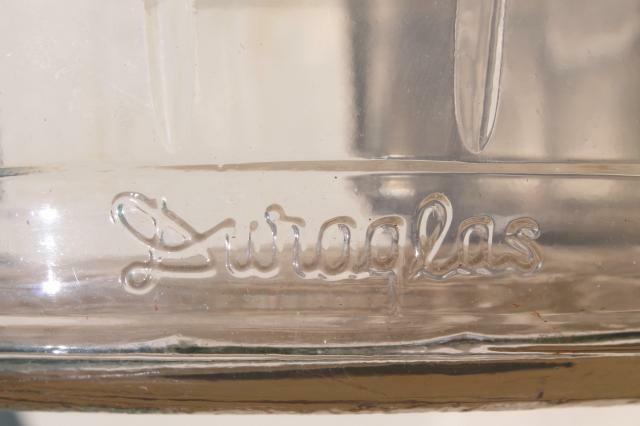 This one has no lid, but makes a great floor vase / bottle to display your collections! 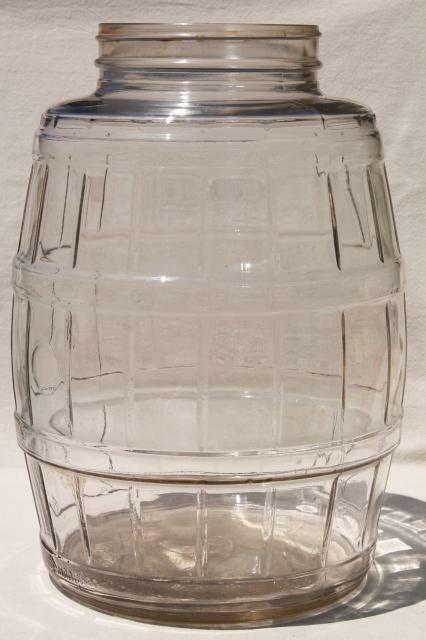 It's about 8" in diameter overall, made for a 5" lid. 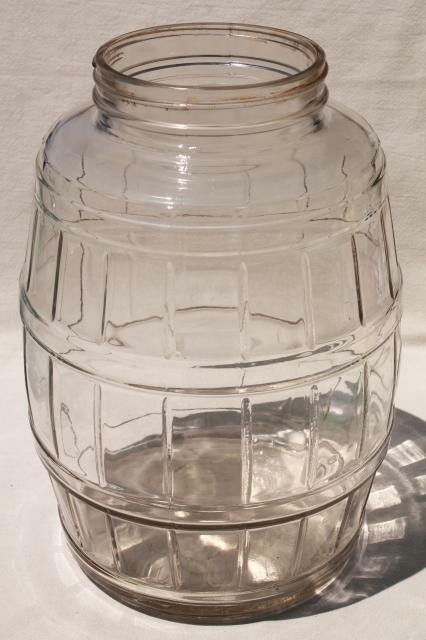 Stands 13 1/2" tall, holds about 2 1/2 gallons.